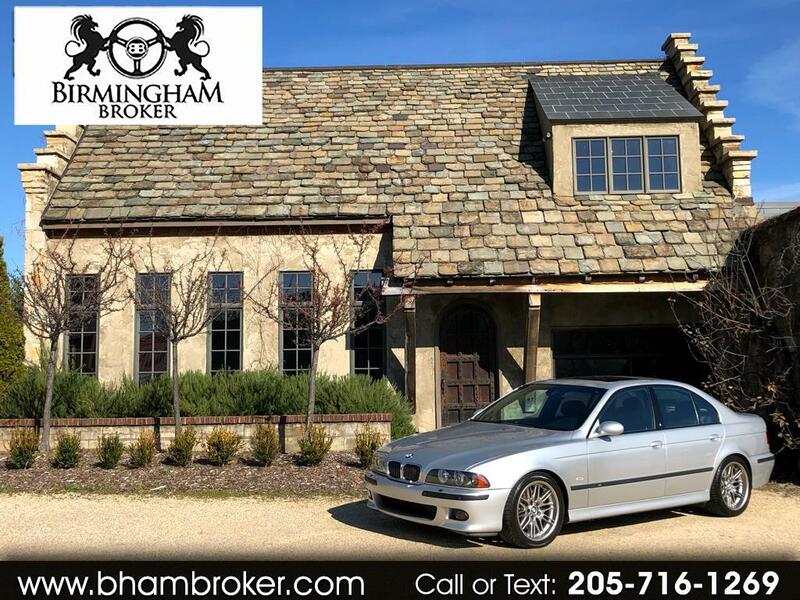 A BEAUTIFUL EXAMPLE OF A 2003 BMW M5 SEDAN!! SILVER WITH BLACK INTERIOR MAKES THIS CAR POP!! IF YOU'VE NEVER DRIVEN AN M5 YOU'LL FIND THAT YOU NEVER WANT TO DRIVE ANYTHING ELSE!! THIS IS A BEAUTY AND READY TO GO HOME WITH SOMEONE TODAY!! NOTE: IN THE 10 YEARS OF BUSINESS WE HAVE NEVER BROUGHT IN A CAR WITH STRUCTURAL DAMAGE ON THE CARFAX BUT THIS CAR IS THE EXCEPTION. DUE TO KNOWING THE OWNER, PICTURES OF THE ACCIDENT AND THE AMOUNT OF RECORDS REGARDING THE VEHICLE WE ARE VERY CONFIDENT IN THE CONDITION OF THIS VEHICLE! Message: Thought you might be interested in this 2003 BMW 5 Series.